The feeling of Fall is in the air! The nights are getting cooler and it's getting dark sooner, making it feel a lot like Fall time around here. Time to start getting everything pre-vaccinated so we can wean them and get started with the next season of Life. Forest range. Still a lot of good grass, but drying out. Summer pasture. What a great view up here. Braden & Aubrey have been trying to keep up with the monitoring and doctoring for those that need it. Good thing we have someone that can rope now in the family! Full pen of showsteers & heifers getting their pre-weaning shots. There is a lot of color this year! Good Luck at Your Fair! 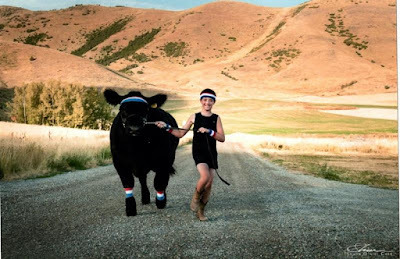 We think 9 year old and 1st year 4H member Briggs Loveland, gets the prize for most creative letter to us as he prepares for his upcoming fair at Box Elder County this week. 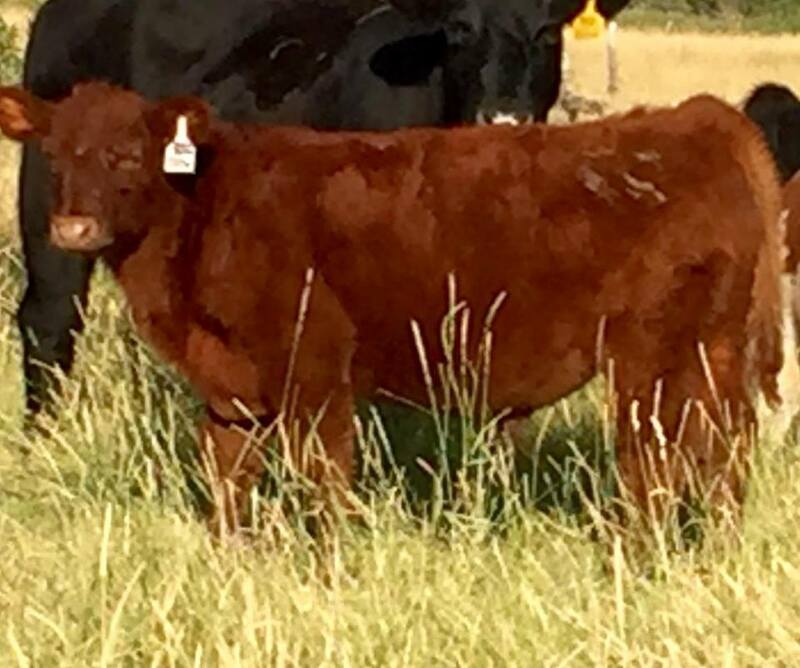 This was Lot #16 at our Online Steer & Heifer sale last year, Sired by Unstoppable and out of a Vendetta dam. Good luck to him and "Steve" as well as the rest of you that are still preparing for your Fairs. Be sure to let us know how they have done and we always like to see the finished product. "A Real Champion isn't made in the Ring. They're made in a barn by a clever showman, who had the vision to create it and worked hard to condition it." Briggs & Steve are going for the Gold! 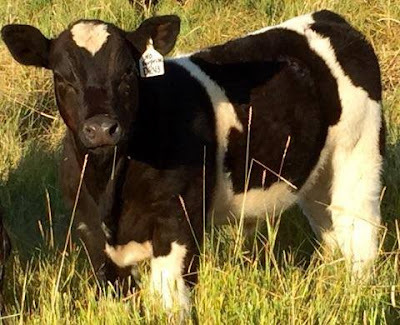 After Fair is done, we always go out and look through the new calf crop and start to get excited about this year's offering. Tyler got some great shots out in the field, but they are even more impressive when you see them in person. Come & visit and you'll see what we mean! Online Sale coming up October 10th. Preview Day at the Ranch October 8th. Another Fair Week has come & gone. The stalls are cleaned out, the animals loaded, the vehicles unloaded, and we're back home now hopefully going to get a much needed nap! Sometimes we wonder why it is that we do this with our Family. But, as we reflect back on the successes & trials we had this week, a lot of different thoughts come to mind. We do 4-H with our kids because it teaches them responsibility. It teaches them a love for agriculture and a respect for animals and what they give to us. We do 4-H because it is a way to spend time with each other learning life skills. We do 4-H because we like the character traits it promotes. We don't always like the things that happen to us and can't always control the end result, but hard work, being together, and looking for ways to help others is something that we feel makes the ultimate Grand Champion! The Barker Family joined with the Ottley Crew and came to take in the Fair Scene at the Cassia County Fair. It's a great tradition and for those that couldn't make it, get started making your plans to attend with us next year! 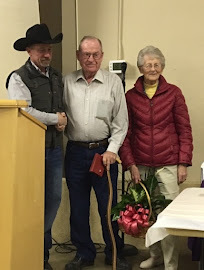 They ought to get a prize for the most dedicated "Out of towner fans" as they were die-hards hitting all 3 nights of the rodeo. You have a family gathering that is hard to beat with picnics, Kay's caramels & visiting at the motel courtyard plus swimming and maybe a little too much cotton candy, maple bars & kettle corn. Kamri with Grand Champion Cassia Born & Raised Steer. Over 50 home grown steers in the show. 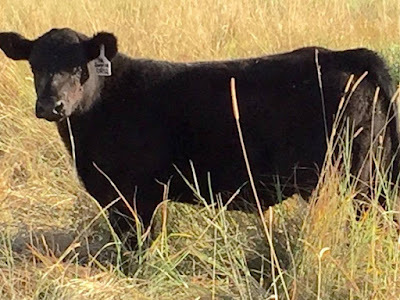 All Aboard Sired Steer. Kamri in the Champion Drive for Overall Champion 4H Steer. Quite a line up with over 80 head of steers in the show. 4th place overall. 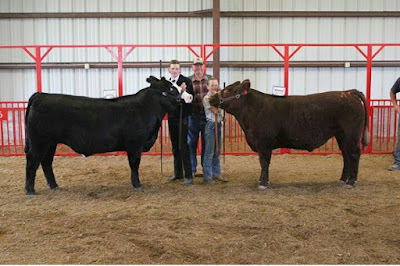 2nd place Intermediate Showman in Fitting & Showing. 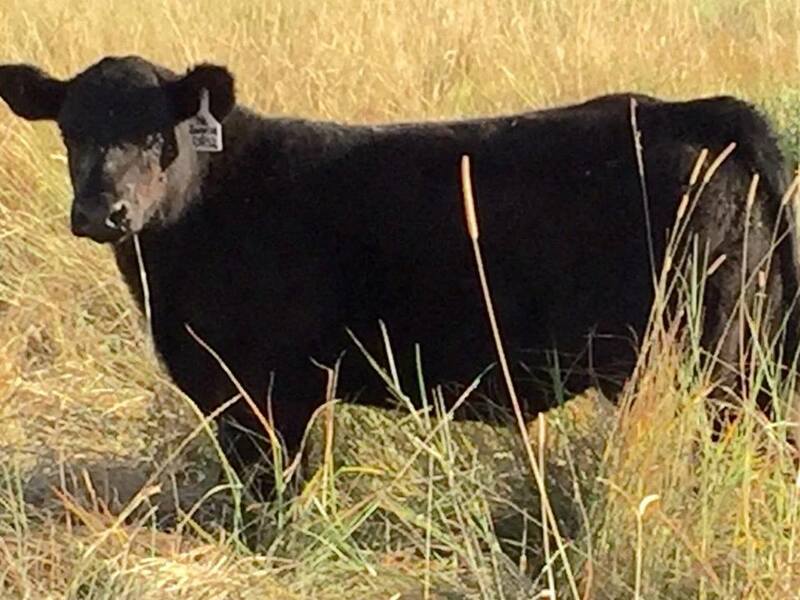 Brodey with Tour of Duty (PB Angus Heifer). Champion Heifer Calf in 4H, and class Winner in County Heifer Futurity Show. 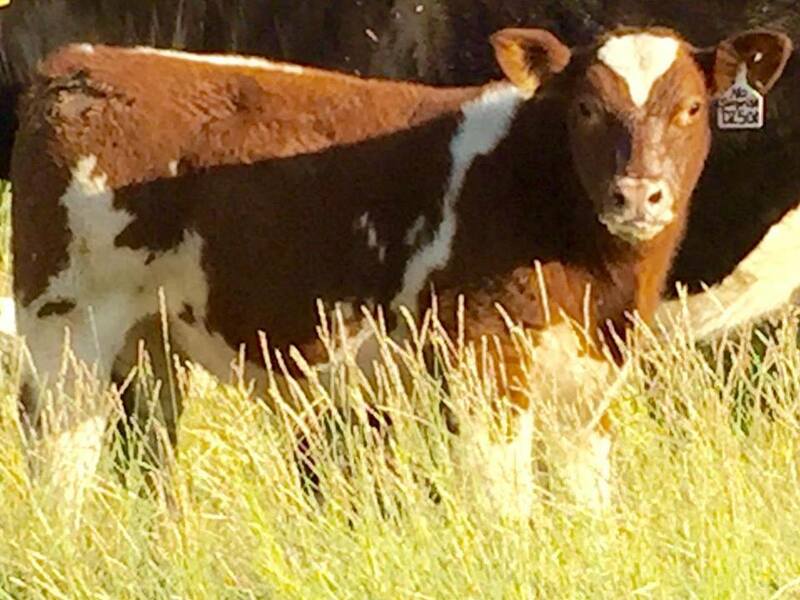 Kamri with Entrepeneur (Sm x An) Heifer Calf. 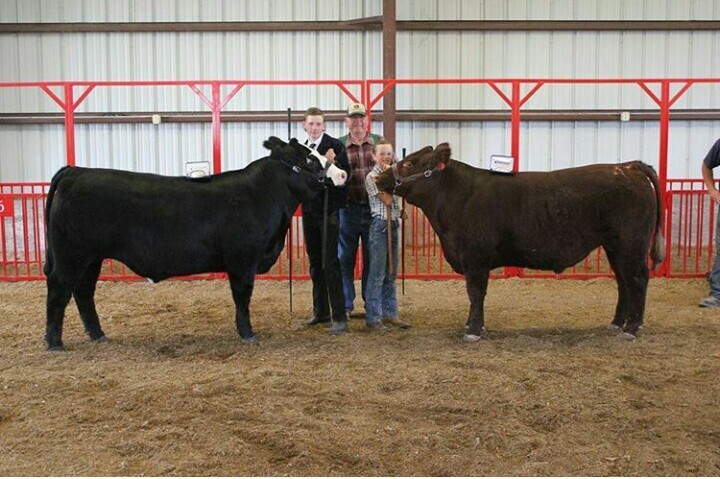 Reserve Champion in 4H and 3rd place class winner in Cassia Heifer Futurity. Fair season is upon us and we're excited to see how all the calves from last year's sale do. We hope everyone is geared up and ready to go. It is fun to see what they develop into with time, feeding, some hard work & TLC. Congratulations to the Matthews family for Champion at Power County Fair. No Surprise steer, Lot 11 in last years sale. They tell us the Reserve Champion was also sired by Barker Cattle Co. bulls.